Home » OSWCC » OSWCC is headed to Ohio Comic-Con Sept 20-22 in Columbus! OSWCC is headed to Ohio Comic-Con Sept 20-22 in Columbus! OSWCC is headed to the biggest con we attend in our home state! 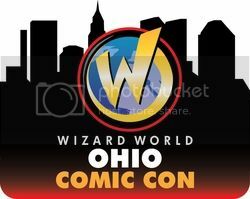 The Wizard World Ohio Comic-Con has been a perennial favorite of OSWCC members, and this year looks to be bigger and better than ever. If you’ve always wanted to experience what the really big shows are like (and don’t want to fly to New York or San Diego) then this is the show for you. Wizard always puts on a great con, which is well organized and a ton of fun for everyone. Check out the official website for all the details on the show. OSWCC will be setup, so please stop by, say hello and share your love of Star Wars! MTFBWY! Come and visit OSWCC at Mid-Ohio Con! Previous post Upcoming: OSWCC goes to Chicago!